Hyundai Motor is joining forces with a Chinese engineering institute to raise around $100 million for an investment fund for startups with innovative ideas on hydrogen technology and infrastructure building, the company said Monday. The fund will be managed by Hyundai Motor and Yield Capital, an investment unit under the Chinese engineering institute. Venture capitals from other parts of Asia, Europe and North America are also expected to take part in the fundraising, the company said. 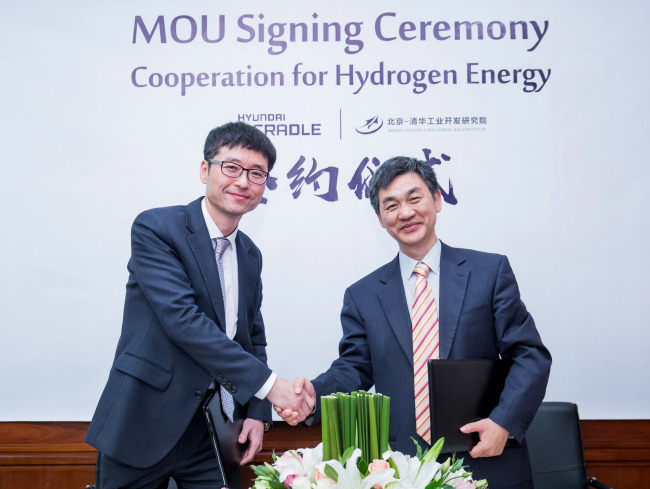 Hyundai has been seeking opportunities to make inroads into hydrogen-related business areas in China, which is looking to hydrogen as an alternative energy source. The Chinese government plans to supply 1 million fuel cell electric vehicles and build 1,000 hydrogen refilling stations by 2030.